Hello! Check out these projects that JJ Bolton and Heather Campbell created for us today. They really knocked it out of the park!!! 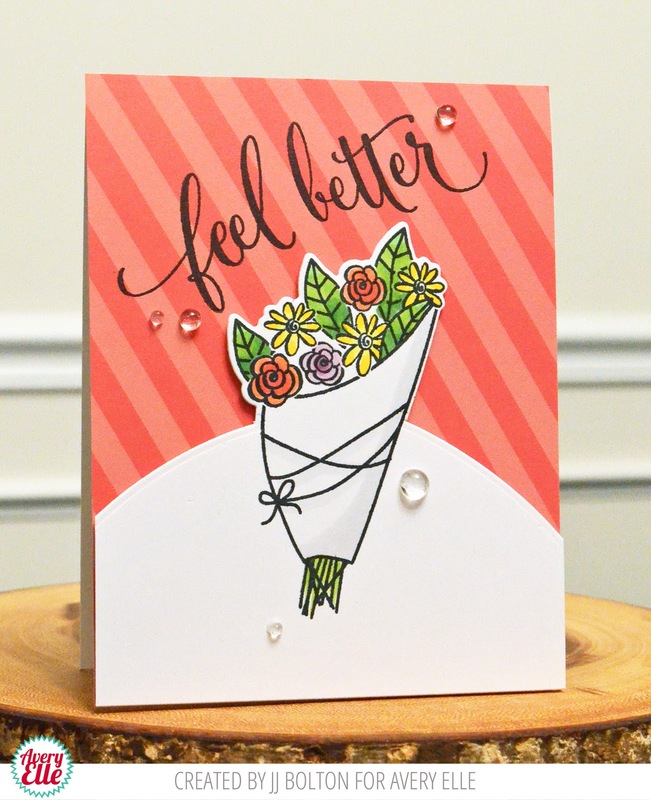 JJ used our Get Well stamps and pattern paper from our Happy Collection to create this first card. 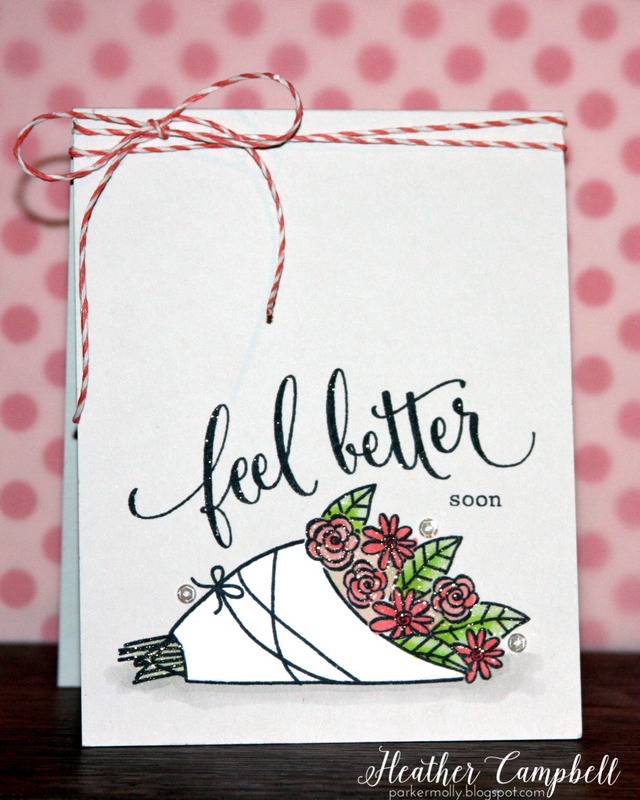 I love how she partially die cut the bouquet using our Get Well and Custom Panels dies. It looks so pretty! I love it. 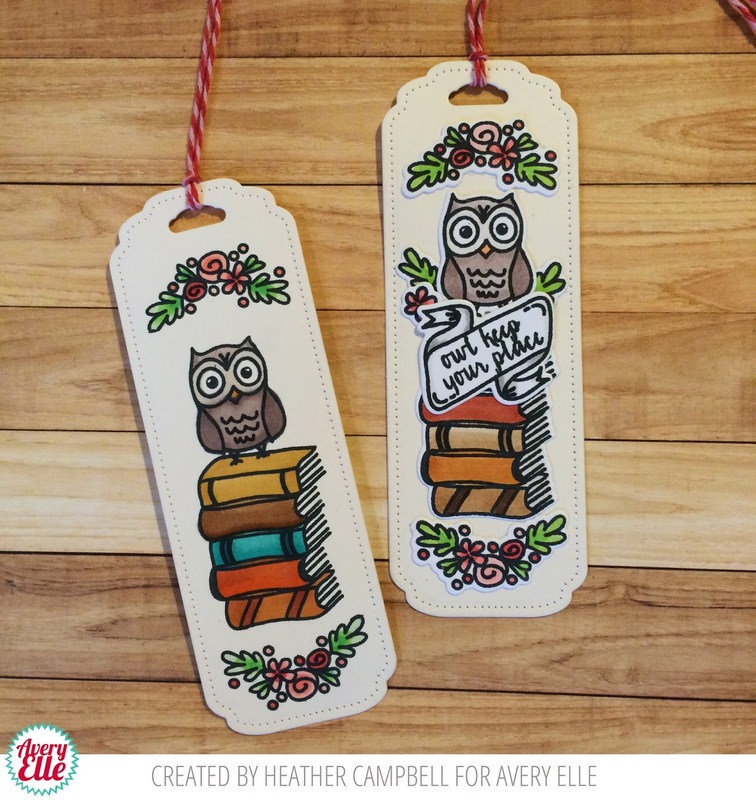 Heather created these bookmarks using our This Book stamp and dies along with our Bookmark die. Aren't they just gorgeous? I absolutely love them! 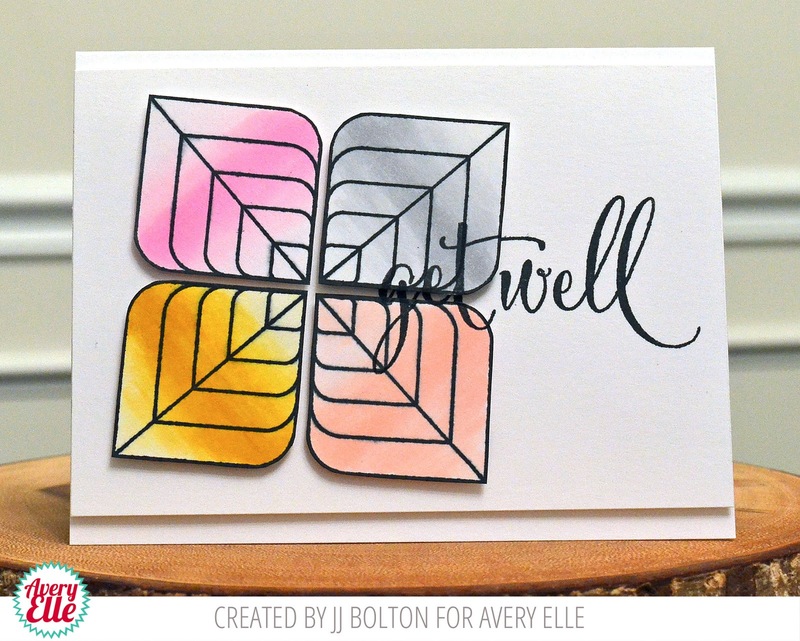 Heather used our This Book stamp set and dies again on this card. The sentiment from our More Stories stamp set and images from This Book look fantastic on a Dotted card panel. I love the way the book looks set on top of the flowers. It is so sweet! Thank Heather and JJ for sharing with us today. Thank YOU for stopping by to take a peek. Have a great day! Hello! Today I have the pleasure of sharing this sweet layout that Maska created. I love how she created a page all about lemon pie! 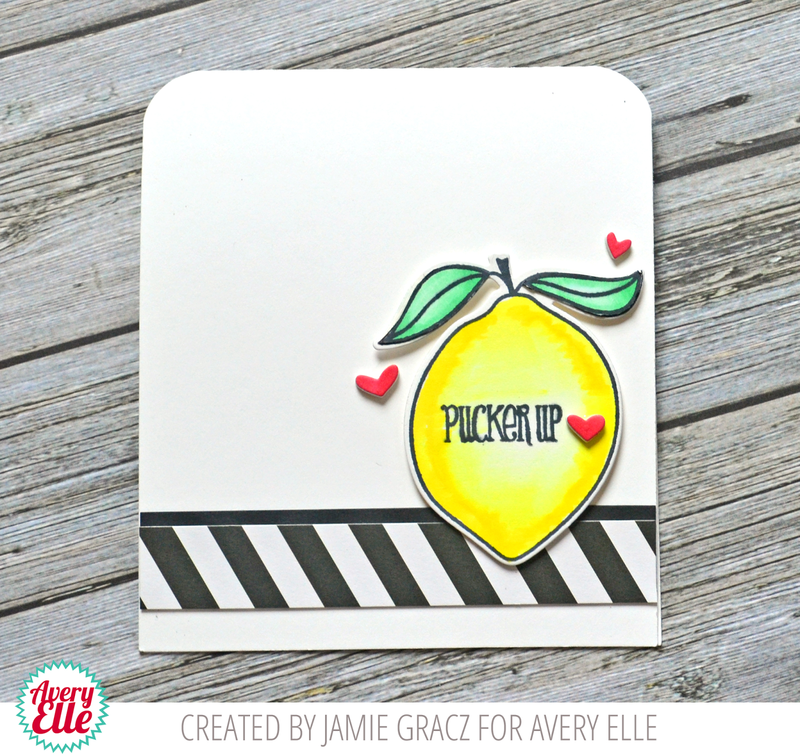 The lemon from our Berry Good stamp set and the pie images from our Humble Pie stamp set are so perfect together! The kraft, yellow, white and black color combination is stunning! I love it! Thank you Maksa for sharing with us today. Thank YOU for stopping by to take a peek. Have a great day! Hello! I am so happy to be sharing these two cards with you today. 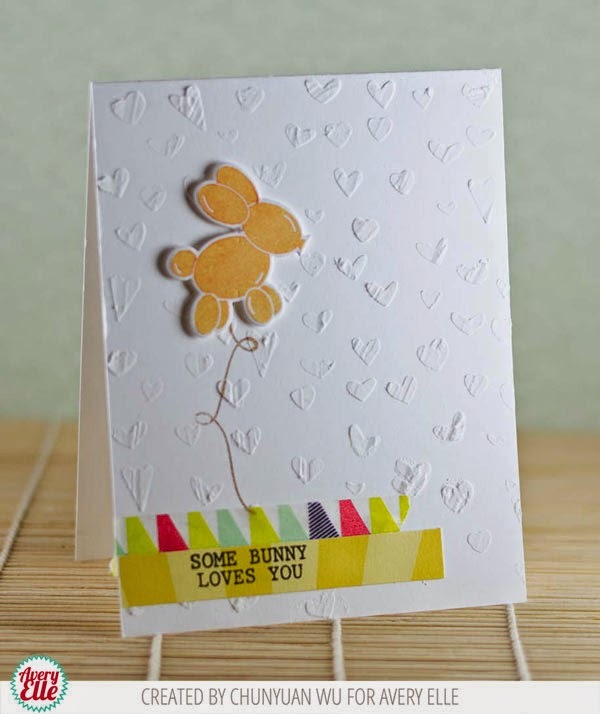 Chunyuan Wu created this first card using our Party Bunny stamp and die set. I love this cute balloon image and the bright and cheerful colors Chunyuan used. Thanks Chunyuan and Melania for sharing with us. Thank YOU for stopping by to take a peek. Have a great day! Hello and Happy Monday. 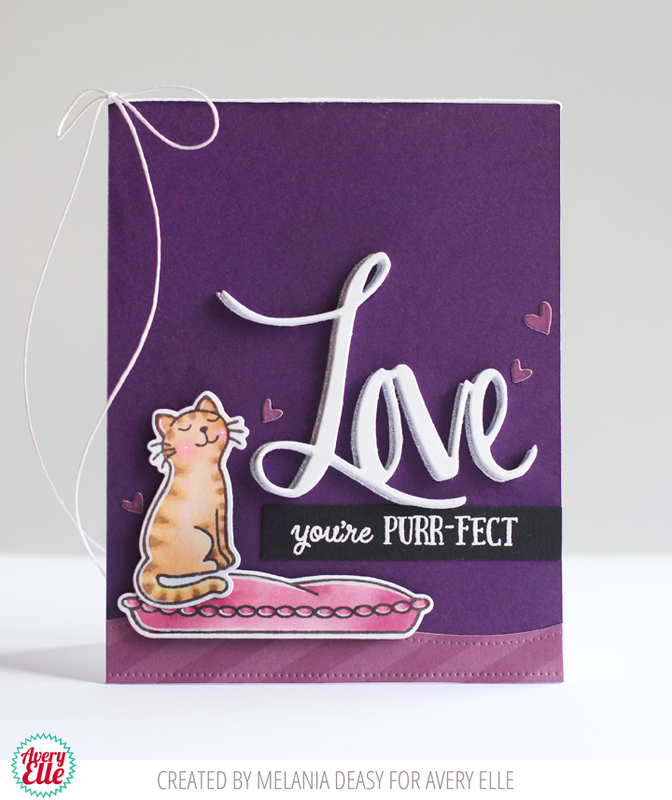 Today I have some cute cards to share with you along with the winner from our Chameleon Blog hop. Let's get to the cards first shall we? Caryn Davies used our Super stamps and dies along with the number 7 from our Elle's Alphas stamps and patterned paper from our Everyday Collection to create this first card. 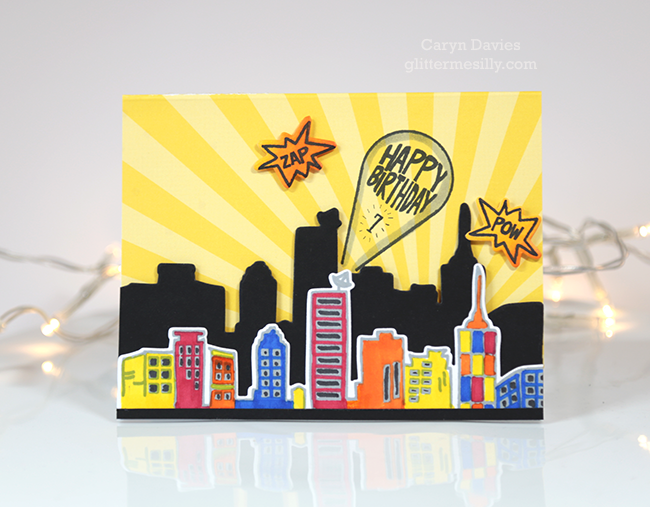 I love how Caryn layered the city image and used such bright and fun colors! 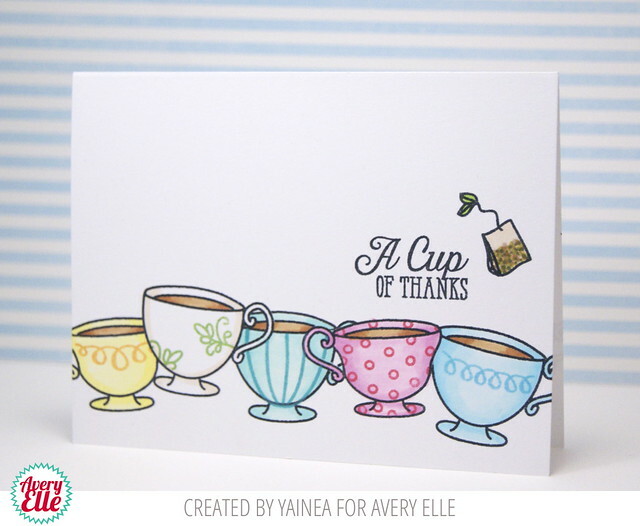 Yainea used our Tea Time stamp set to create this single layer card. I love the look of the tea cups lined up in a row. She shows the cute patterns that you can create on the cups using these stamps. I love it! We had such a great time hopping with Chameleon Pens last week. Both of our design teams did an amazing job! We hope that you enjoyed it as much as we did. The winner of a $50 Avery Elle Gift Certificate from our Chameleon Pen's blog hop is Kailash . Such a fun design, love this card!!! Congratulations. Please contact us at customerservice at averyelle dot com so that we can get your prize to you. Be sure to check out the Chameleon blog today for the winner of their prize. Thank you Caryn and Yainea for sharing with us today. Thank YOU for stopping by to take a peek. Have a great day! It's the last day of Chameleon Pens and Avery Elle week! This week the Avery Elle design team has been playing with some amazing pens from our friends over at Chameleon. If this is your first time visiting our blog this week you may want to start here on day one of the blog hop. These pens work so well with our stamps and dies! After visiting here, be sure to check out the Chameleon blog for even more inspiration! Be sure to comment on our company and designer blogs throughout to week to be entered to win one of two prizes - a $50 Avery Elle Gift Certificate or a pen set from Chameleon! The winner of the Avery Elle Gift Certificate will be announced on the Avery Elle blog on Monday, April 27th. I created this clean and simple card using our Finished Frames (hearts) dies, Berry Good stamp and die set and some patterned paper from our Neutral Collection Paper Pad. I shaded the hearts, lemon and leaves using the red, yellow and green pens from Chameleon's Primary Pen Set. I definitely recommend watching the coloring tutorials out there for tips on how to use these pens once you get them. They helped me a lot! Thanks for stopping by to visit us this week. We hope that you have enjoyed the projects as much as we enjoyed sharing them with you. Be sure to stop by tomorrow to see who won the $50 Avery Elle Gift Certificate (you still have until midnight PST tonight to enter). Have a great day! 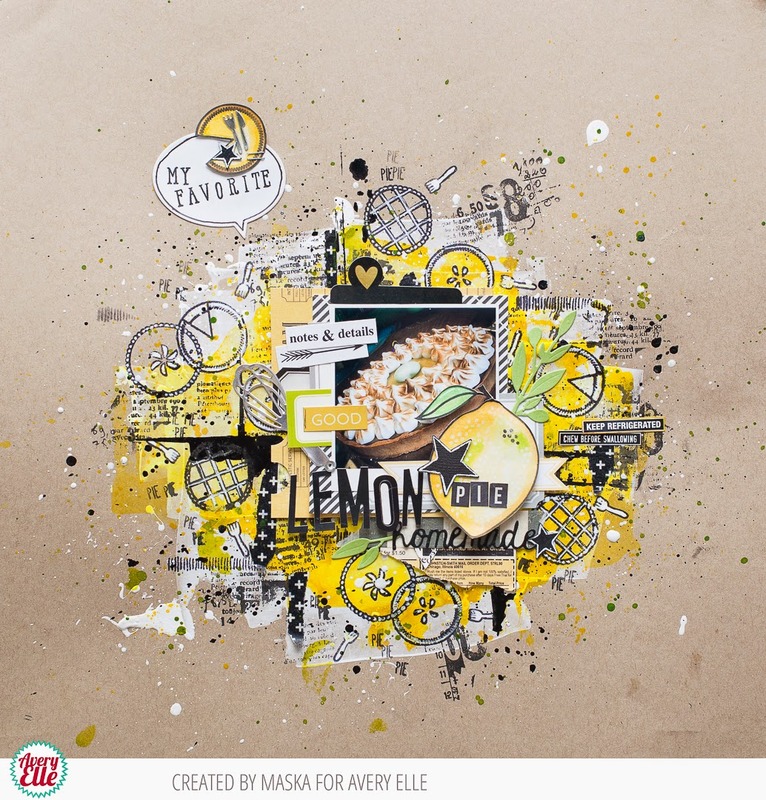 Heather Campbell created this card using our Fly By stamp set and Chameleon's Primary Pen set. You know we love the red and blue color combination! ;) This is so fun and cute too! Thank you Heather for the fabulous inspiration. Thank YOU for stopping by to take a peek. Be sure to come back tomorrow for more! Have a great day! 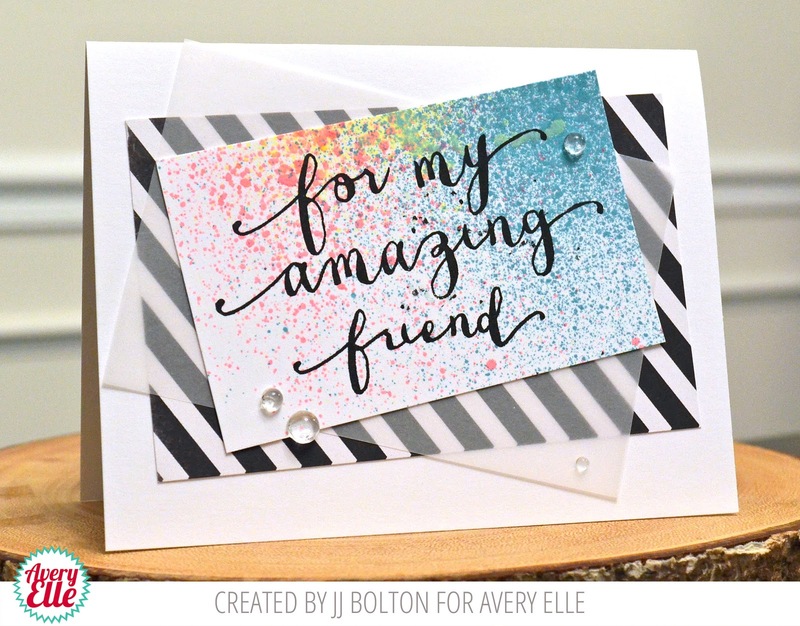 JJ Bolton created this card using our Rounded Diamonds and Get Well Stamp sets and Chameleon's Pastel Pen set. I love how bold and modern the shaded "flower" looks. It is so cool that just 2 stamps and 4 pens were able to create this look. It is gorgeous. Thank you JJ for sharing with us today. Thank YOU for stopping by to take a peek. We hope to see you tomorrow! Have a great day! 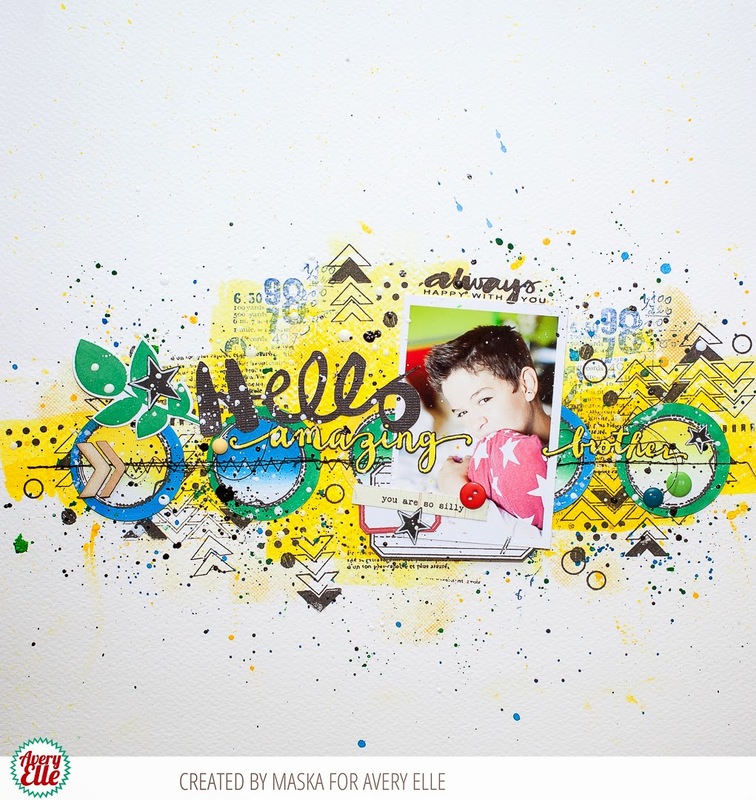 Maska created this layout using our Petals and Stems stamps and dies, Amazing stamp set and Chameleon's Primary Pen Set. I love the way all of the layers and colors work together. Those ombre colored circles are just so fun and really anchor the page. Fabulous right?! Thank you Maska for sharing with us today. Thank YOU for stopping by to take a peek. Have a great day and be sure to stop by tomorrow for even more inspiration! 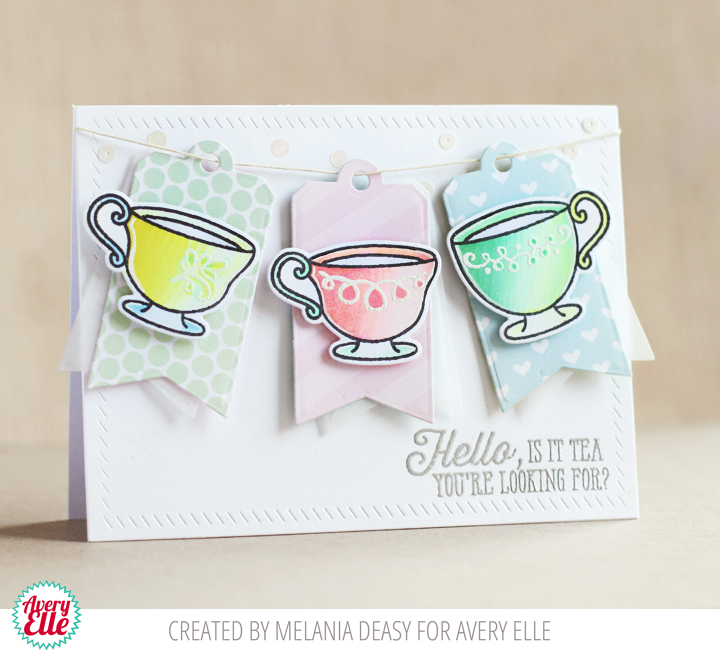 Today Melania Deasy die cut tags using our Gift Tags die and our Sorbet Paper Pad and mounted images from our Tea Time stamp and dies onto them. Melania used the Primary Chameleon Pen Set to shade and color the tea cups. Aren't they gorgeous all strung up on top of the Finished Frames card front? I love the pretty colors that Melania was able to achieve with just 5 different pens!! 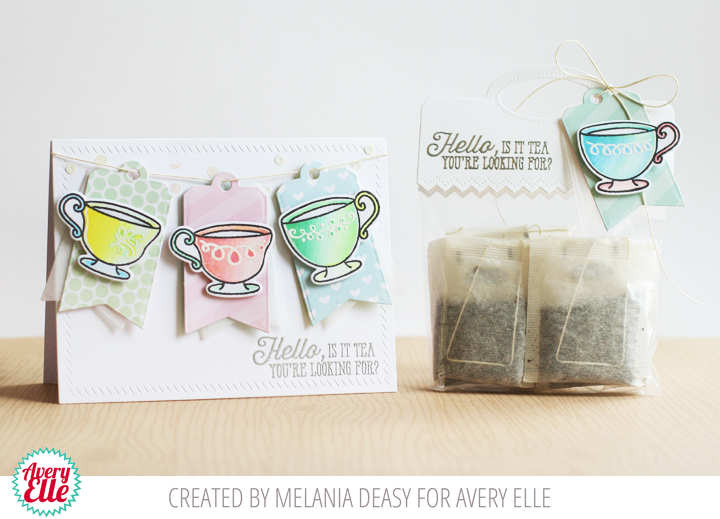 She even created a little tea bag gift set using more tea cups and our Treat Topper Die. Someone is going to love this! 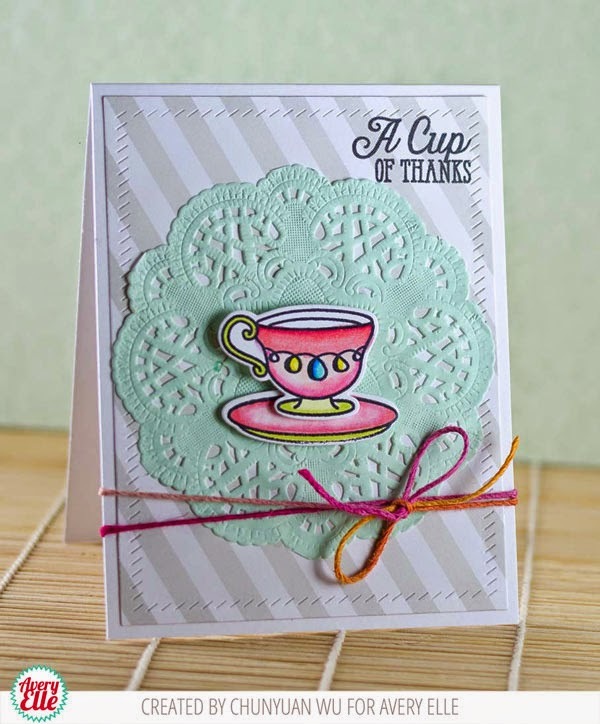 Chunyuan Wu created this next card using the same Finished Frames die, Tea Time stamp and dies and Primary Chameleon Pen Set to shade and color the tea cups. The patterned paper is from our Neutral Collection. This is so bright and cheerful! Thank you Chunyuan and Melania for the fantastic inspiration! Thank YOU for stopping by to take a peek. Be sure to stop by tomorrow for more. Have a great day! It's Chameleon Pens and Avery Elle week! This week the Avery Elle design team is playing with some amazing pens from our friends over at Chameleon. These pens work so well with our stamps and dies! 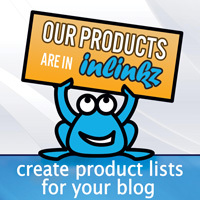 After visiting here, be sure to check out the Chameleon blog for even more inspiration! Be sure to comment on our company and designer blogs throughout to week to be entered to win one of two prizes - a $50 Avery Elle Gift Certificate or a pen set from Chameleon! 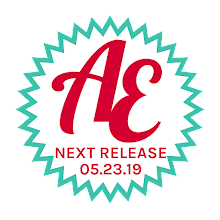 The winner of the Avery Elle Gift Certificate will be announced on the Avery Elle blog on Monday, April 27th. 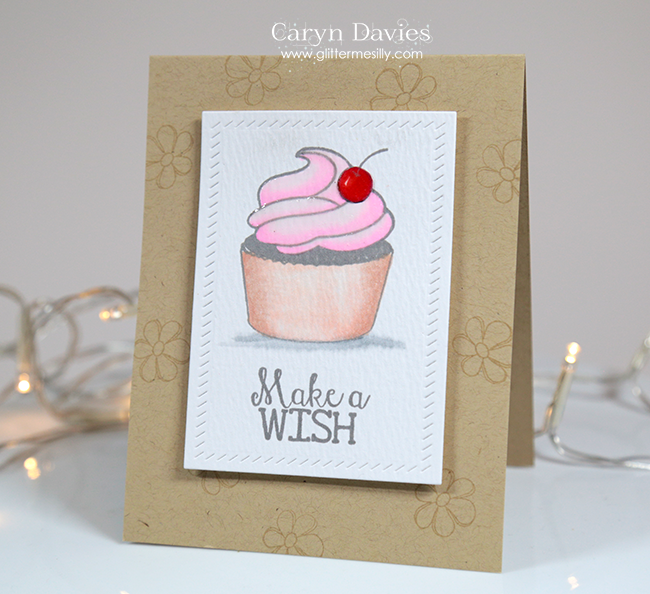 Caryn Davies created this first card using our Cupcakes stamp set, Finished Frames dies and a Kraft top folding note card from our Natural Collection. She colored the cupcake image using Chameleon Pen's Pastel Pen Set. By using pens in the same set to color the frosting, liner and grey shadow Caryn knew that the colors would work together and the results turned out great! 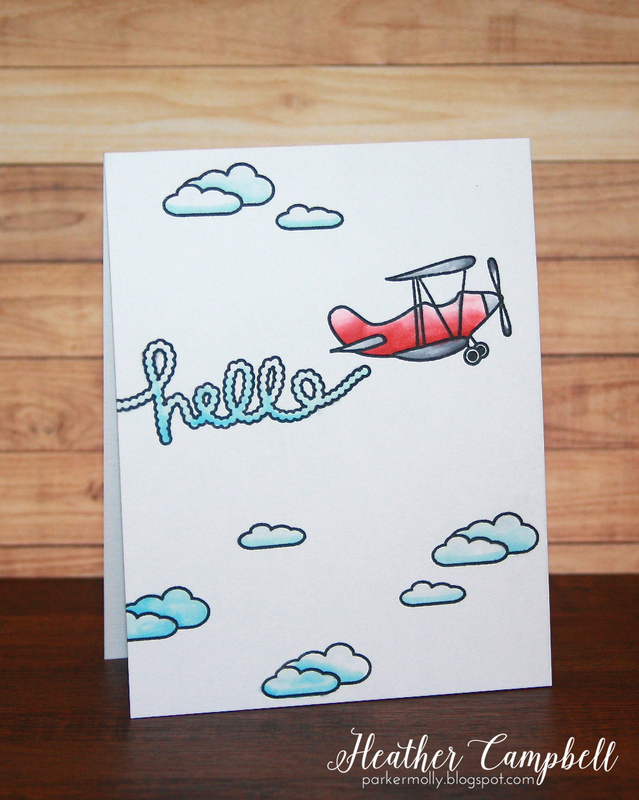 Yainea used the same Chameleon Pastel Pen Set to create this next card. 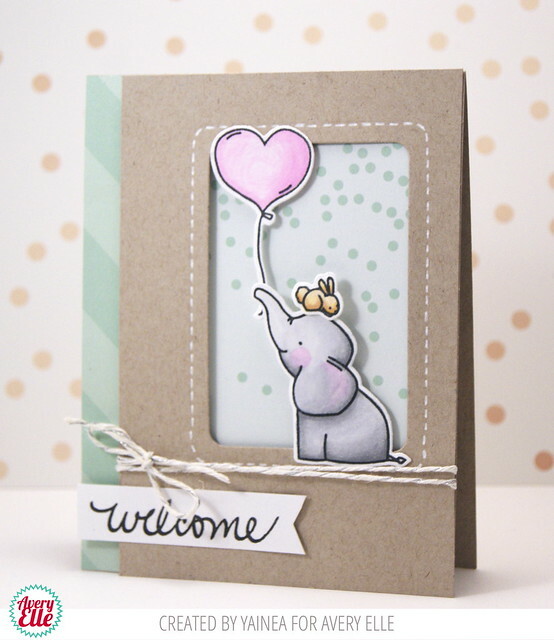 I love the way that images from our Ellie stamp set look colored in these pretty neutral colors. They look great against the patterned paper from our Sorbet and Everyday paper pads and the sentiment from our We R Family Additions stamp set. Thank you Caryn and Yainea for sharing with us today. Thank YOU for stopping by to take a peek. Be sure to stop by tomorrow for more inspiration. Have a great day! Happy Friday Everyone! 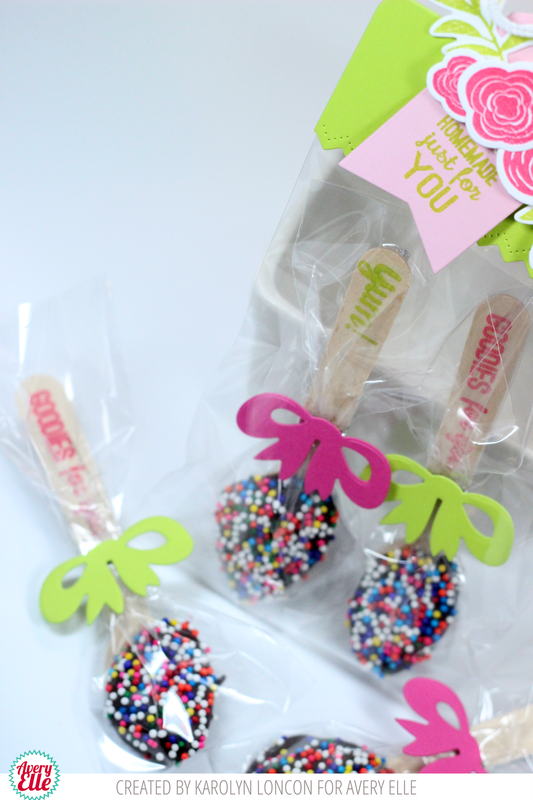 Today I have two cute projects to share with you. 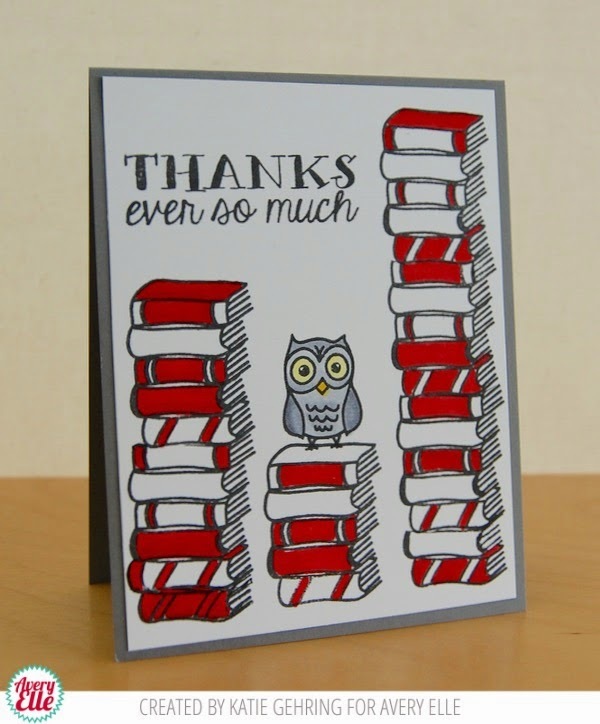 Katie Gehring created this teacher appreciation card using our This Book stamp set , Many Thanks stamp set and a Fog top folding note card from our Midnight Collection. I love the way all those books look stacked up around that adorable owl. 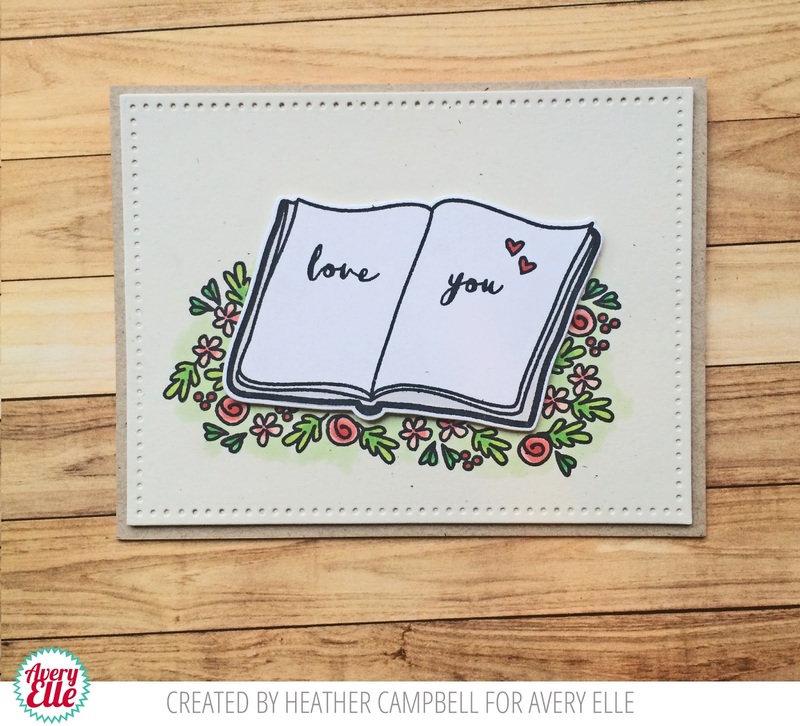 Katie shows how this set is perfect for cards, book plates, bookmarks and more! 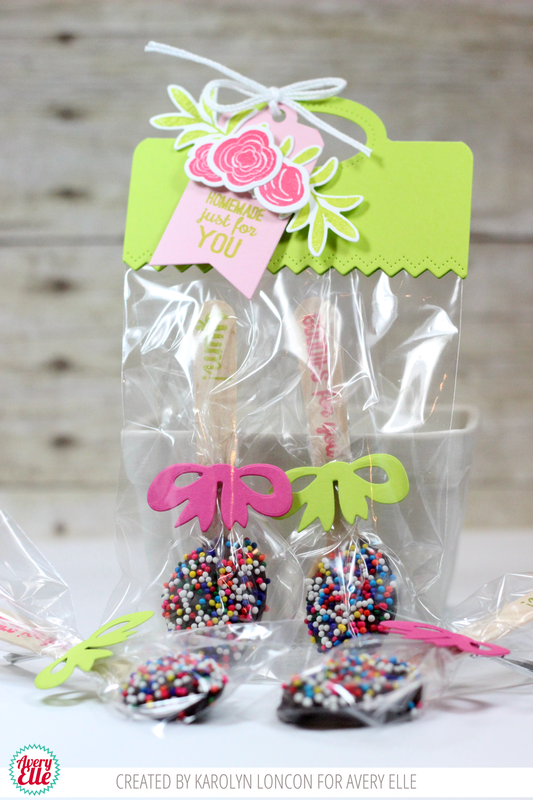 Karolyn Loncon created this adorable spring themed treat bag using our Homemade stamp and die set, Treat Topper Elle-Ment dies, Laurels Stamps and Elle-Ment dies, and Gift Tag Elle-Ment dies. I adore how pretty and sophisticated this bag looks. Our Lemon Grass and Raspberry Inks look so pretty together don't they?! Hello and Happy Thursday! I am so happy to share three terrific cards with you today. 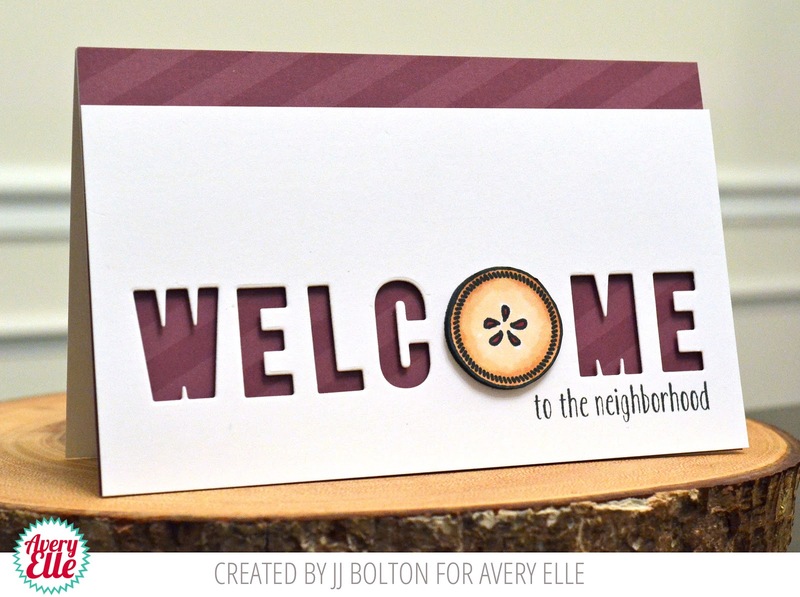 JJ Bolton used our Humble Pie stamp set along with our Avery's Alphas dies, Home Sweet Home stamps and Harvest Collection Paper to create this first card. I love the way JJ used the pie as an "o". It is such a clever way to combine these sets. I love it! 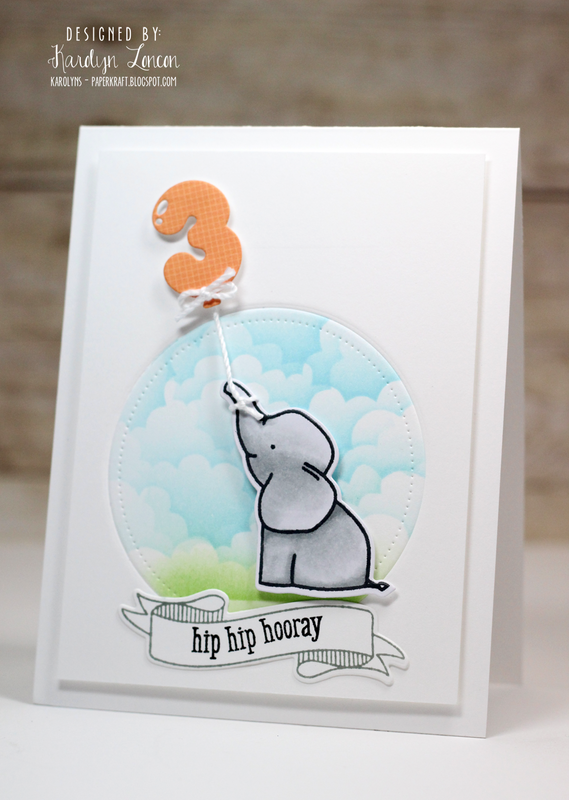 JJ created this next card using our Amazing stamp set and paper from our Neutral Paper Collection. I love how bold and graphic this is. Heather Campbell created this next card using our Get Well stamp set and a Silver Fox top folding note card from our Midnight Collection. I just adore the coloring and sparkle that this card has. It is sure to brighten someone's day! Thank you JJ and Heather for sharing with us today. Thank YOU for stopping by to take a peek. Have a great day! Hello! Today I have the pleasure of sharing this *Amazing* layout that Maska created using our new Amazing stamp set , Simply Said You stamp set and Furry Friends stamps and dies. Check out how Maska cut out the main sentiment. It must have taken a lot of time but it was so worth it! I love it. Thanks so much for sharing with us today Maska! Thank YOU for stopping by to take a peek. Have a great day! Hello! Today I have some projects created by Melania Deasy and Chunyuan Wu to share with you. Melania used our Numbered Balloons stamps and dies, Bookmark dies, Furry Friends Stamps and Dies, Pinked Dies, Finished Frames Dies for the stars, The Jewel Collection Paper Pad, The Harvest Collection Paper Pad, and The Everyday Collection Paper Pad to create this first card and bookmark set. I love how cute these are!! Those dogs look perfect "holding" the balloons. 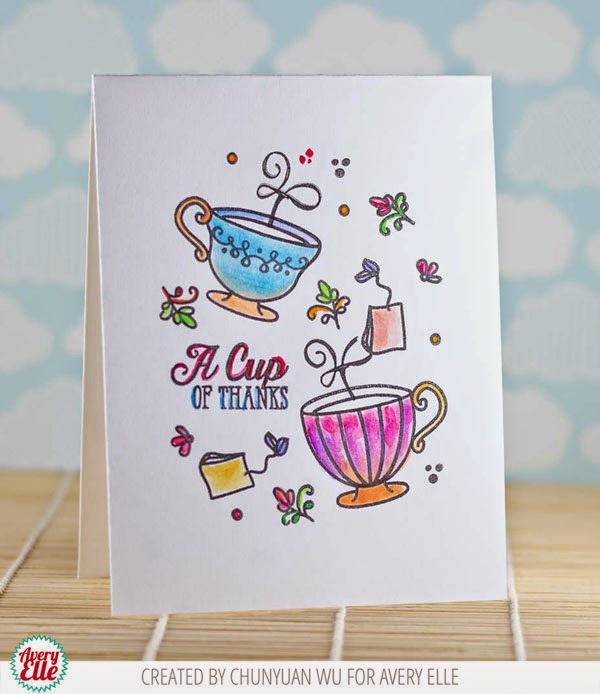 Chunyuan Wu used our Tea Time stamp set to create this next bright and cheerful card. I love the way the images are stamped in an oval on the front of the card. 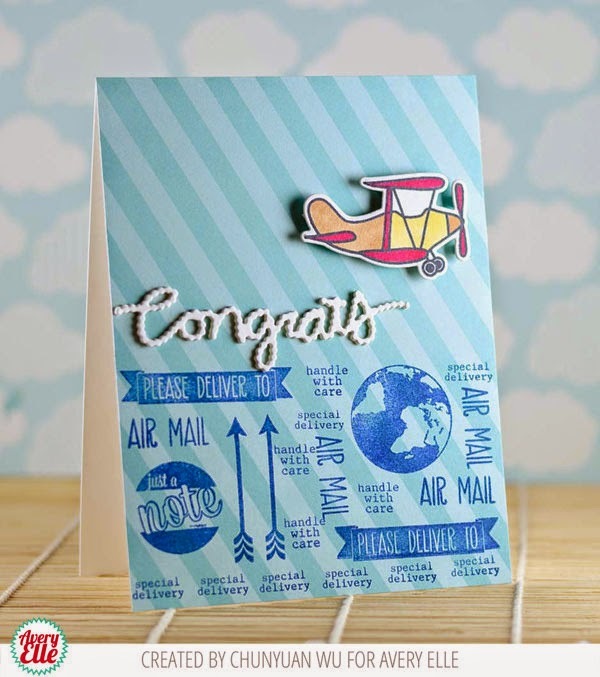 Chunyuan used our recently retired Air Mail stamp set, Love Notes stamp set, and Brights collection paper along with our Fly By stamp and die set for this next card. Thanks Melania and Chunyuan for sharing with us today. Thank YOU for stopping by to take a peek. Have a great day!